The papers and social media are today full of claims of fake news; back and forth the accusations fly that one side of the political divide in the US has been filling the world with lies in order to discredit the other. We used to call this propaganda; now it’s fake news. It was the time of the so-called Second Triumvirate. The alliance between Octavian, the powerful heir of Julius Caesar, and his right-hand man, Marcus Antonius (Mark Antony), was crumbling and two sides had formed – a clash was inevitable. It is a well-known story – Mark Antony claimed the Eastern Roman Empire as his fiefdom and had moved in with the alluring Cleopatra in Egypt. Meanwhile, his main rival, Octavian (later Augustus Caesar), was in Rome, where the ability to influence the governing Senate and the people of the city still mattered. There was a ferocious propaganda war between the two sides in full play by 33BC as both vied for public support and the military authority to sway events. Just as now, there was a lot at stake –in 33BC it was the rule of an Empire that dominated the whole of the Mediterranean. 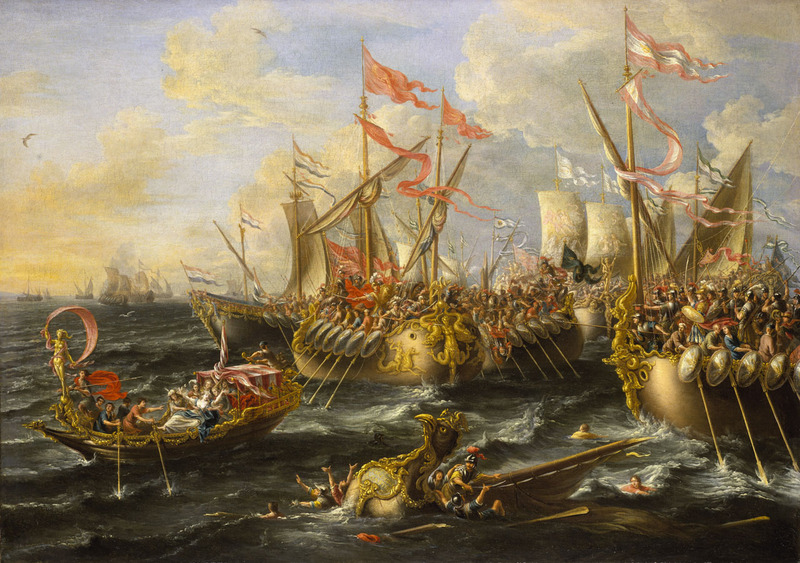 Was the Battle of Actium Lost for Cleopatra and Mark Antony Before It Even Started? 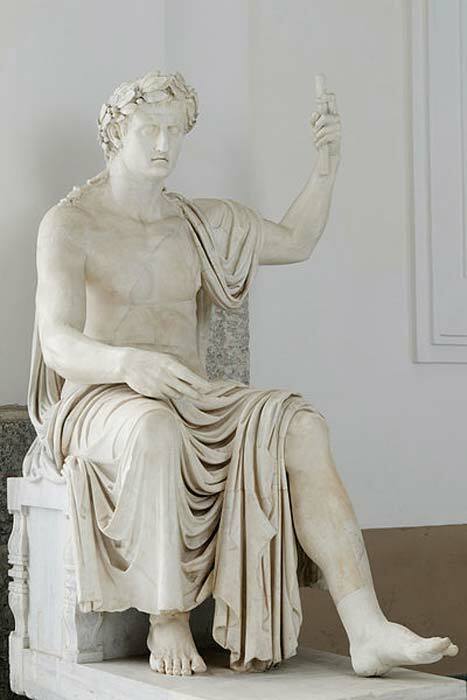 The young Octavian would eventually prove to be the master of propaganda – and, as he was also physically in Italy, unlike Antony who was in Egypt, he was able to exercise far more influence over Rome and the senate. Yet it would be a piece of fake news that was to be the proverbial straw that broke the camel’s back. Octavian managed to get hold of a document that he claimed was Antony’s official will and testament – and what a document it turned out to be. Whether it was real or not – and scholars debate this point still – the will contained such inflammatory claims that it set the Roman people against Antony. Octavian read this document aloud in the Senate house (according to Plutarch’s Life of Antony, 58) and he made it widely available by getting the Senate to issue a decree that was posted in the forum and sent out widely through the empire by messengers. This way, Octavian convinced the people of Rome – and Antony’s many allies in the Senate – that Antony had lost his head and given himself over to the allure and despotism of Cleopatra, queen of Egypt. 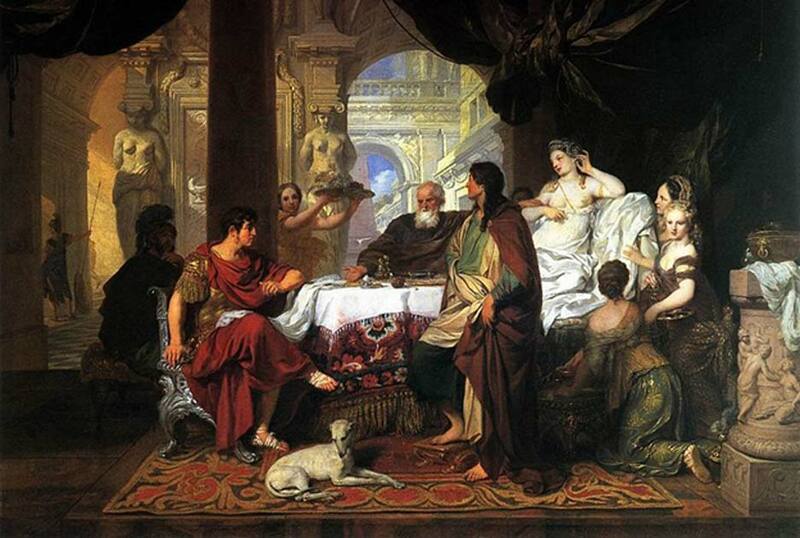 The document played on many of the anti-eastern (and anti-Cleopatra) prejudices of the ancient Romans, traditional views that were suspicious of the wealth and luxuries of the east and of powerful women. It appeared to confirm that Antony intended to leave legacies to his children with Cleopatra (they had three children: twins Cleopatra Selene and Alexander Helios, and a son named Ptolemy Philadelphus) that included large pieces of Roman-held territory in the eastern Mediterranean. 'Intemperance' (c. 1802) by Thomas Stothard. (CC BY NC ND 3.0) this painting shows Mark Antony embracing Cleopatra as she drops a pearl into her goblet of wine. The will also declared Caesarion, the son of Cleopatra and Julius Caesar, Caesar’s legitimate successor. This was an extremely inflammatory claim since it could undermine Octavian – as Caesar’s adopted son – in the eyes of the veterans still loyal to the Julian family. The document also claimed that Antony’s burial should be in the mausoleum of the Ptolemaic kings in Alexandria. This last wish was considered the most atrocious in the Roman eye, held up by Octavian as particular proof that Antony really just wanted to be a despotic ruler and that if he came to lead would take Rome on the road to monarchy. 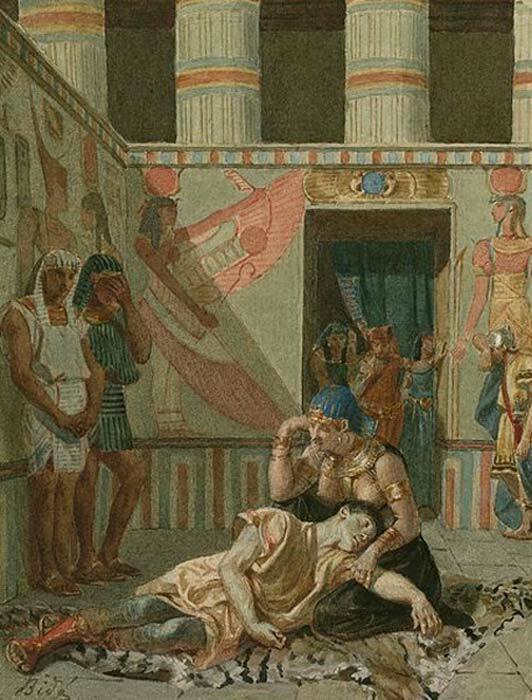 The dramatic death of Cleopatra – was it really suicide? What is so intriguing is that whether the document was a piece of fake news or the real thing is no longer of any importance. The will proved to be just the sort of propaganda victory that Octavian had hoped for. The senate in Rome moved to strip Mark Antony of his “imperium” (his legal right to lead the Roman armies he commanded) and without it he was not legally in command of his legions. It made Antony a traitor and that made it much easier to turn people against him, and declare war. 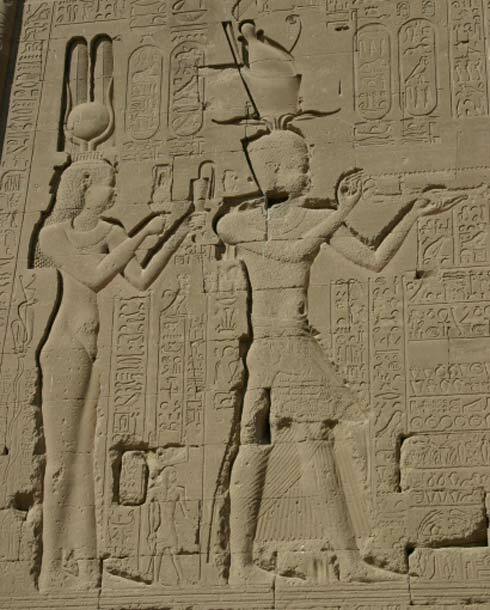 And war was indeed declared by the Roman Senate – interestingly on Cleopatra as queen of Egypt rather than Antony. When the two sides met in battle in 31BC at Actium, Octavian’s victory and the subsequent suicide of Antony and Cleopatra left him as the sole ruler of Rome, and he would become Rome’s first emperor, taking the name Augustus. As history is written by the victorious, this version of Mark Antony became the accepted part of the story. The attraction of blaming an exotic woman, the eastern queen Cleopatra, for corrupting Antony was the tale that posterity has accepted. The popular depictions of Antony, from Shakespeare through to the classic 1960s film starring Elizabeth Taylor and Richard Burton, reinforce the narrative that Octavian had taken such pains to publicise: Antony was a man who had lost his head and all Roman sense of propriety for the love of a woman.